H&M started life in Sweden in 1947 and has now grown to become a worldwide brand with over 4,500 stores across 68 countries. It has worked with some of the biggest names in the fashion industry, having launched collections with Stella McCartney, Roberto Cavalli, Jimmy Choo and Alexander Wang to name a few. The result is an ultra-fresh range with a premium look at affordable prices, making first class fashion available for all. Its womenswear features versatile dresses and tops so whether you’re looking to bulk out your everyday wardrobe or searching for something truly showstopping, it’s got you covered. Men will enjoy shirts and jeans in a variety of styles and fits, with the ‘athleisure’ look featuring heavily as well as its more formal items. Kids have their own section too meaning the whole family can get in on the style. H&M’s magazine is a great resource for those in need of a little inspiration, and you can check out the hot new styles and trends, interviews, videos and much more from this fashion forward page. How do I use my H&M discount code? Check out H&M’s facebook page to see some great deals! Can I get H&M gift cards? Where is my nearest H&M store? There are loads up and down the country, so search for your nearest here. Can I get free delivery with H&M? Yes, free delivery is available if you spend over €60. You can return your purchase within 28 days of receipt to receive an exchange or refund. Item must be in original conditions and packaging. Package up your goods, including a filled-in returns form that was included in the delivery. You can return the item instore or using a courier pickup arranged here. Certain Designer and Special collections may have slightly differing policies. H&M is a brand famous the world over for showing that looking and feeling great don’t have to come with a hefty price tag. With its rolling stock of on-trend menswear, womenswear and childrenswear, it’s got everything you need for fashion fabulousness, and using an H&M discount code from vouchercloud means coming away with an extra saving. Experience H&M with us to get the best deals! H&M’s app is a great way for fashion lovers to get the most out of this brand. You can browse and buy from its entire range wherever you are and you’ll get push notifications so you never miss the latest releases. 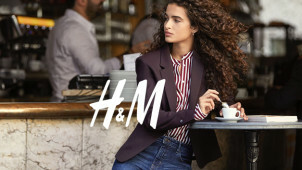 The app shows where your nearest H&M store is and best of all, if you’re instore and there’s an item you love that’s not in your size, simply scan it with the app to order online. Sometimes you’re not looking for anything fancy, you just need some basic items that form the basis of your everyday look. H&M’s basics are great value and effortlessly stylish, and adding an H&M voucher code from vouchercloud onto your order means you’re in for a bigger saving. With tops and bottoms, skirts and shirts, dresses and jumpers, your wardrobe staples are right here just waiting to be snapped up!